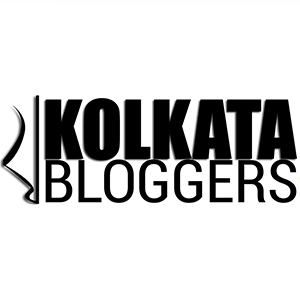 If you have lived in Kolkata then you can’t be unaffected by the vibrancy and hum of excitement that grips the City of Joy. For a non-artistic person like me who can’t draw a straight line the beautiful Puja Pandals that dot every nook and corner of our city are a tribute to the magnificent talent of our artists and artisans who create these absolute wonders that weave us into their thrall. It’s those 4 special days when there is a carnival atmosphere in Kolkata and for those who have yet to experience it I would humbly request you to schedule a visit to Kolkata during Durga Pujo because it’s absolutely electric! The city bedecked in its finery is full of pomp and celebration and it’s a fitting back drop to the feasting that follows by all those who participate in this splendid celebration of the Mother Goddess coming to visit her parental home. After deciding what we will wear and which Pandals we will visit the next most important question is what culinary delights we will indulge ourselves and our dear ones with! Since I was a child two items are synonymous with the festival for me …. Rolls and Biryani both firm gastronomic favorites of this great city. They are family favorites as well so the palate has savored them from childhood. The Roll supposedly invented at Nizam’s was a firm family favorite and I remember growing up on stories about how my Dad would go play Rugby and arrive ravenous at Nizam’s and polish off numerous Rolls. This DNA has certainly been inherited by me and I can eat a roll anytime you ask me. Egg, Chicken, Mutton, Beef all are most beloved. So where would I recommend you eat a roll? Nizam’s (New Market Area) the inventor of the Kati Roll – It’s been around for a century and the loyalists swear by it. The Egg Mutton Roll has a huge fan following and for many this is a pilgrimage every time they visit Kolkata. Badshah my personal favorite (on Lindsay Street) where my family and I have eaten rolls for over four decades. Single Egg Double Mutton or Chicken with sliced onions, lemon and green chilies is my idea of bliss! Kusum at Park Street is another popular choice and my savior when I used to go after school for my Hindi Tuition’s at Karnani Estate and later on it saved us when we used to party at Someplace Else at The Park and then walk down for our dinner to Kusum. They have a pretty good Liver Roll for those so inclined but my personal pick is the Egg Chicken Roll. Zeeshan with multiple branches across Kolkata is another famous Roll Hub. I love the Mutton Tikia Roll and another favorite is the Brain Roll. Absolute heaven both. Anamika (at Triangular Park, Alipore) specially the Egg, Chicken, Mutton Combo Roll and I love the thin paratha but remember the rolls are only available after 5pm. Bedwin , Campri (Fish Roll) , Golden Spoon, Hot Kati Roll, Parijat ,Azad Hind Dhaba , Jabbr Afghani(Jabbr Roll), are the other crowd favorites. However this meal in itself during the season is also widely enjoyed at the numerous roadside stalls that spring up all over the city. When the hunger pangs strike treat yourself to a nice hot roll with lots of yummy chopped onions, lemon and a few green chillies. For those so inclined Khaleq(beside Jamuna Cinema) , Nafeel (near Park Circus Tram Depot) and Rayaz(Prince Anwar Shah Road) are great choices for Beef Rolls and UP-Bihar Restaurant(New Market Area) has a unique Khiri(Udder) Roll. The Biryani Bandwagon is also rolling in full force during this season and the popularity of the Biryani in Kolkata needs no testament. Like most others my go to Biryani Joints are Arsalan , Royal , Aminia and Shiraz. Aminia is an age old favorite and I have lovely memories of going there with my father on Sundays for a Biryani and Pasinda Kebab. Their Mutton Awadhi Biryani is a great pick. Arsalan is perhaps the Biryani hot-spot of the city. Their Arsalan Special Mutton/Chicken Biryani is delicious. I however am partial to their mutton version because the quality of the Mutton is excellent and it’s perfectly cooked. Shiraz is another old favorite and a regular haunt since my college days. Love the biryani here and it’s always a crowd pleaser. Royal Indian Hotel is a place you can’t leave out of this very special list. An establishment with a century old biryani legacy that serves up an excellent Biryani and please note there is no Aloo (potato) in it unlike most Kolkata Biryani’s. Note: While writing this article the entire foodie circle in the city is abuzz with the news that the aloo is now being served with the biryani at Royal. Three other places however deserve special mentions. Two are restaurants with multiple branches – Oudh1590 (Raan Biryani) and Hanglaatherium (Fish Biryani) who have won themselves numerous fans and patrons. The third one and one that I highly recommend is Manzilat’s who is a home chef par excellence and a descendent of Nawab Wajid Ali Shah. Her Biryani and Rezala’s are out of this world and she is my go to person for any party or gathering with her light and flavor packed Biryani. Her number is 9432913204 in case you would like to order. If Beef Biryani is what you’re looking for Zam Zam (Noor Ali Avenue) is my recommendation. That pretty much sums up my take on Kolkata Rolls and Biryani and allow we to wish you and yours a happy and hungry Durga Pujo. Please note that food and taste is very personal and by no means do I claim that this is the best there is just that these are the ones I personally like the best! Would love to hear your recommendations so please do share them. Follow me on instagram @theculinarycommentator or My Facebook Page : The Culinary Commentator or on www.theculinarycommentator.com for more food stories.